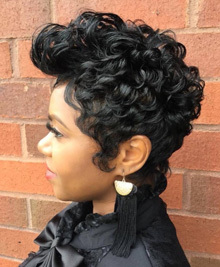 NouriTress Salon & Hair Clinic offers a full range of hair loss services for those who are experiencing hair thinning, shedding, breakage, hair loss and alopecia. 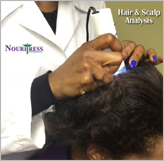 Our treatment plan is determined first by scheduling a consultation with one of our hair loss specialists for a Hair and Scalp Analysis. 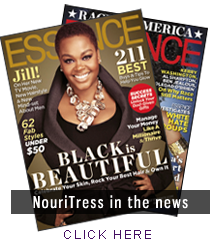 Welcome to NouriTress Salon & Hair Clinic, South Atlanta’s Premier Upscale Salon and home of the Award Winning Product NouriTress Perfect Hair Products. 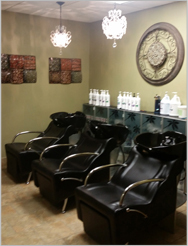 Our salon specializes in healthy beautiful hair for all hair types!